When you're looking for informed advice from a lawyer, you can call on Cook and Associates, Attorneys at Law for help with matters in Montgomery, AL. We provide local representation, and we can act as your guide and advocate while working to resolve your case. If you retain our law firm, you'll have the opportunity to work with a lawyer who is dedicated to your unique legal needs. We can discuss your legal situation while striving to look for proactive ways to resolve your issues. Our attorneys provide personal attention on every case and will be receptive to your concerns until your matter is finalized. We value our flexible appointment availability because we know time may be of the essence. You can turn to us for assistance with: Social Security Disability / Veteran's Disability Immigration Real Estate Business Law and Contracts If you need the advice and assistance from a lawyer, the law office of Cook and Associates can help you. To schedule your consultation, call today. Free consultation for disability cases. Deeds, Real Estate Litigation, Immigration Petitions, Contract Drafting, Review, or Litigation. Your case is as individually unique as you are. The disability lawyers at Cook and Associates, Attorneys at Law care about your legal needs, and know how to show the administrative court why your case is important. 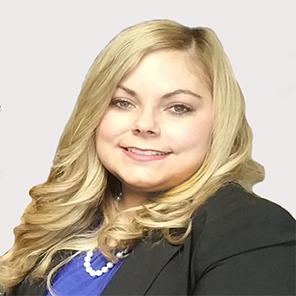 Amanda B. Cook is a trusted U.S. immigration attorney dedicated to serving the needs of people who wish to immigrate to the United States for either personal or professional reasons. We are in a unique position to handle the most complex business and family-based U.S. immigration and non-immigrant visa cases. We are focused on addressing the needs of our clients, and when you choose to work with our firm you can be confident you will receive the personalized attention and legal representation you need to achieve your immigration goals. Contact us to find out how we can assist you. We have successfully represented clients in both employment and family based immigration petitions as well as in requesting waivers of inadmissibility. 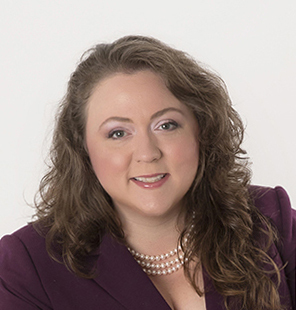 Amanda B. Cook is available to help you with all U.S. immigration matters including: green cards (lawful permanent resident status), work visas, fiance visas, investment visas, citizenship (naturalization), family sponsorship, adoption and deportation defense (removal) issues. Immigration law can be straightforward or highly complex. We meet regularly with clients in our law offices in Montgomery, Alabama, as well as by Skype, phone and email. Contact us to find out how we can assist you. If you are serious about getting legal assistance a consultation is the best place to start. Spend up to a full hour with an immigration attorney to discuss the details of your case, get answers to your questions, work through complex issues and supporting documents and plan an immigration strategy. Whether you are negotiating over commercial real estate or dealing with a legal issue that has arisen over a previous agreement or with a neighbor, we have the knowledge necessary to negotiate the deal or litigate the issue for your best benefit. We serve our clients with respect to: Landlord-tenant issues Commercial lease agreements Tax sales, redemption, and applications for excess funds Mechanics liens Easement and access issues Title issues Financing Developer partnerships Zoning and planning issues SmartGrowth and SmartCode Zoning Sustainability practices LEED Certification Collections Construction Land Use issues Environmental Permitting Leases (Drafting and Litigating) Mineral Rights Partition and sale Fraud Foreclosures Deeds and warranties Adverse Possession and Boundary Disputes Eminent Domain/ Government Taking of Property There are many other issues that can arise that revolve around Commercial Real Estate use and purchase. Whatever your needs, we are here to help you though every step of the way. Call Montgomery real estate lawyer Amanda B. Cook to schedule a consultation at (334) 356-7879, or fill out the form below to have us get in touch with you. We pursue and defend commercial and residential evictions, referred to in Alabama as "Unlawful Detainer". Time moves very quickly in these cases and it is very important to have an attorney who can stay right on top of the case. We also pursue and defend "Ejectment" cases, necessary when a mortgagor unlawfully holds foreclosed property refuses to vacate, and in some Bond for Title (also sometimes referred to as "contract for deed") cases. Personal injury due to a latent defect on a rented premises is a difficult case to pursue, but we do selectively take these cases, usually where a tenant has been injured by exposure to fraudulently concealed mold. Commercial lease negotiation, evictions, commercial eviction defense, and even settlement of broken leases is a large portion of our practice. The smartest thing to do, especially if you are opening a new business, is to have an attorney thoroughly review your new commercial lease to prevent possible problems in the future. Call us today for a 1/2 off consultation for you commercial lease needs. (334) 315-9399. Our philosophy in choosing our practice areas is simple: help people while doing what we enjoy. Negotiating leases, helping those in need, starting businesses, bringing together families, and solving problems for people is our passion. We believe the law should be as productive and inexpensive as possible, and used as a tool to help people achieve their goals. Amanda B. Cook was in the top 20% of her class at Faulkner University's School of Law. She holds a bachelor's degree from New York University, and has real life experience working in the entertainment, hospitality, fashion, and finance industries. She is a published legal scholar on copyright and the First Amendment, and her work can be read here: http://scholarship.kentlaw.iit.edu/ckjip/vol12/iss1/1/ Britany Edwards has a passion for helping the disabled and especially disabled veterans after experiencing the need for such representation in her own family. She is compassionate with those she helps and relentless in helping the disabled move through the legal process with dignity. 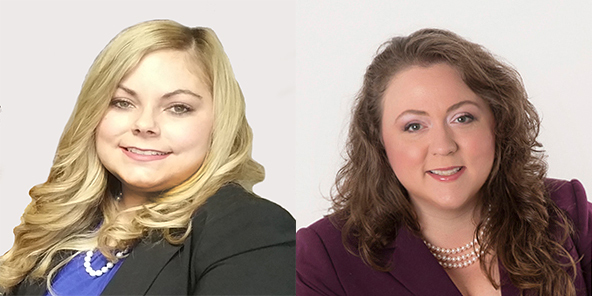 Because we are small and personable, your issues are handled in this boutique practice personally by an attorney, not an army of paralegals. We do our best to make ourselves available on demand for your needs. Our clients are our top priority. I am an attorney serving Montgomery, Alabama and the surrounding areas. I primarily practice law related to contracts, business ventures, intellectual property, and real estate, and handle both litigation and transactions. Our client roster includes individuals, mom and pop businesses, all the way up to large, global corporations, in a range of industries that includes entertainment, hospitality, medical, manufacturing, and others. Anything that touches business enterprise, from trademarks to immigration, is what I do. Britany Edwards is an Alabama native whose hometown is Phenix City. She graduated from Faulkner University and decided to practice disability law because she has a passion for helping those in need. She is tireless and persistent in her quest for helping those with disabilities navigate the complicated legal system with dignity.